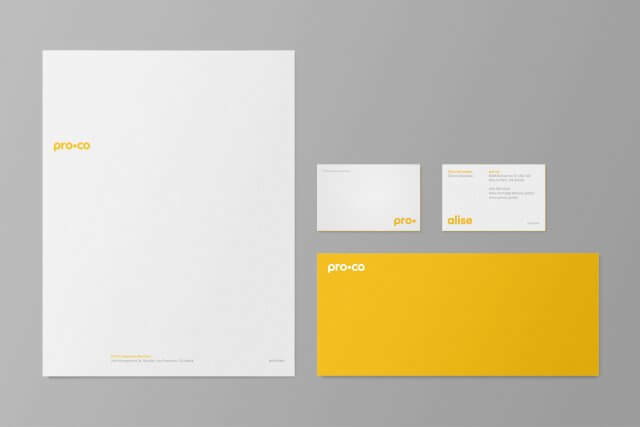 ProCo is an insurance company based in San Francisco. 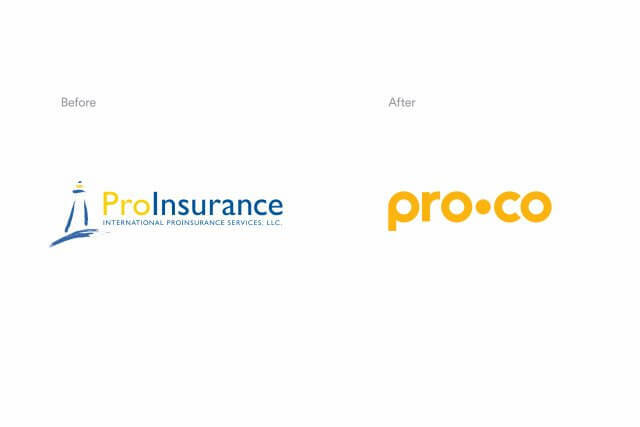 Originally named Pro Insurance they required a new name and identity to differentiate themselves from their competitors. Mucho ran a strategy workshop with the client and developed a name, tagline and identity that represented who they are and why they are different. 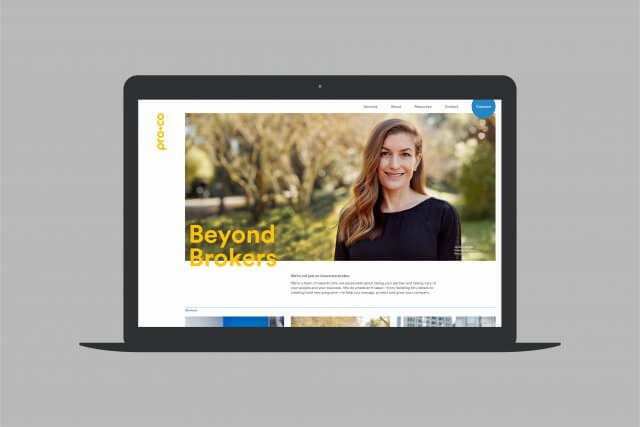 In discussions with ProCo and their clients we established that they are more than just an insurance broker. 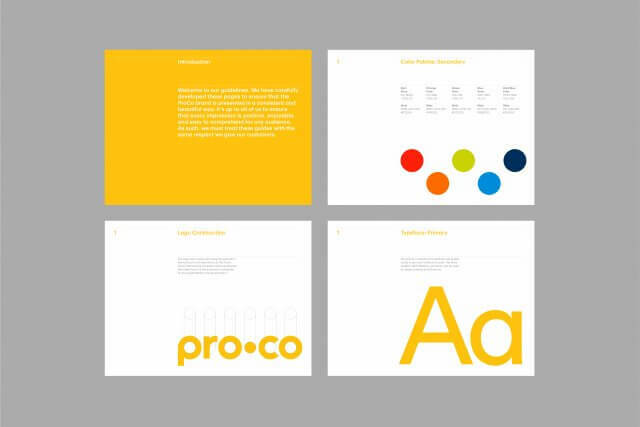 Clients have worked with partners at ProCo for many, many years. In fact they knew the name of the person as opposed to the name of the company. 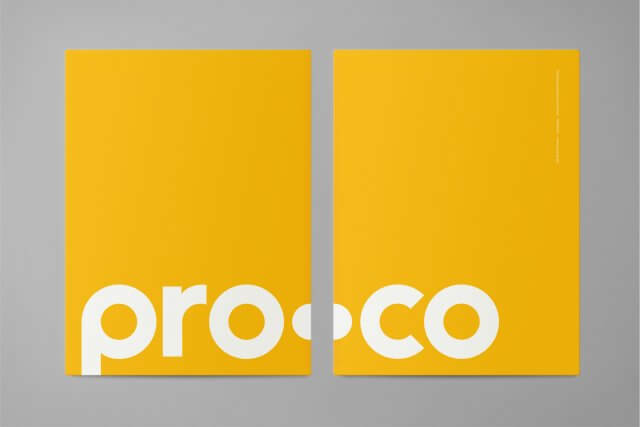 In moving away from just insurance services the word ‘insurance’ could no longer be in their name/logo so we developed a much shorter and more memorable name ‘ProCo’. 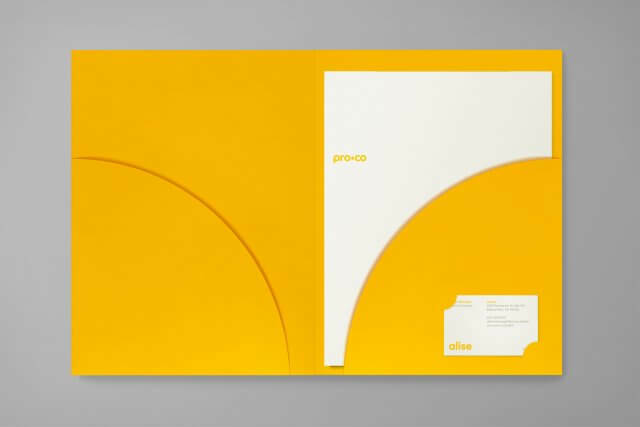 The letterforms in the name were very circular which allowed us to create a very geometric simple logotype. 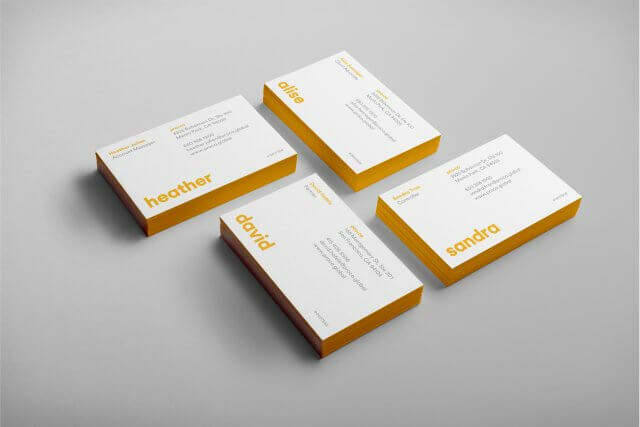 As people really worked with agents as opposed the the company we developed a system for the business card where the name of the agent essentially becomes the logo. 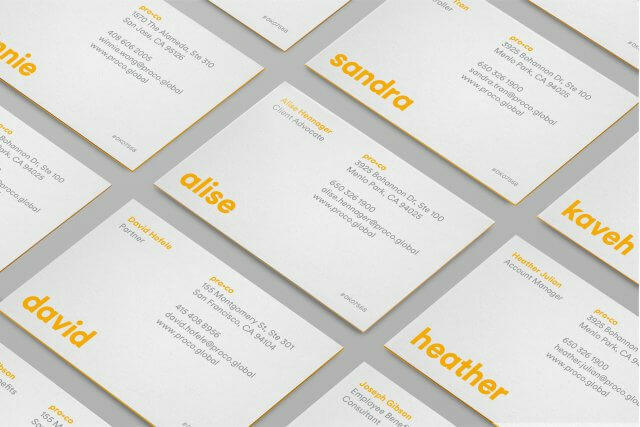 Each agent has their own name as a logo. 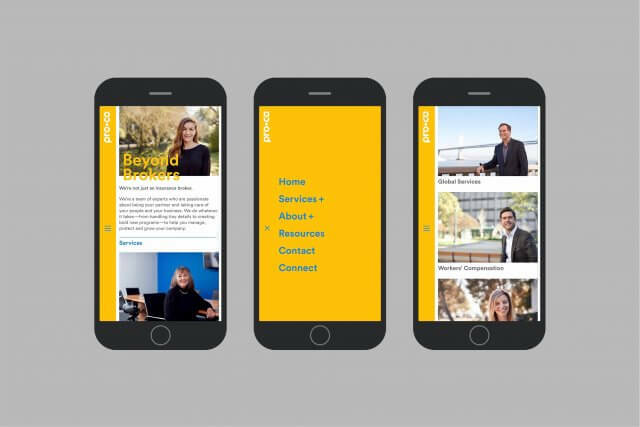 Almost all insurance companies or financial institutions use the color blue prominently in their identity so encouraging ProCo to go completely opposite to that trend and using yellow in a very strong way throughout helps reinforce this idea that this is a different type of company and really helps them stand out in a crowded marketplace.